Back in November last year, I pulled the trigger and committed to attempting a Cent Cols Challenge (CCC) – the Dolomites version, commencing on 31st August – and my entire year has been focused on preparing for this. 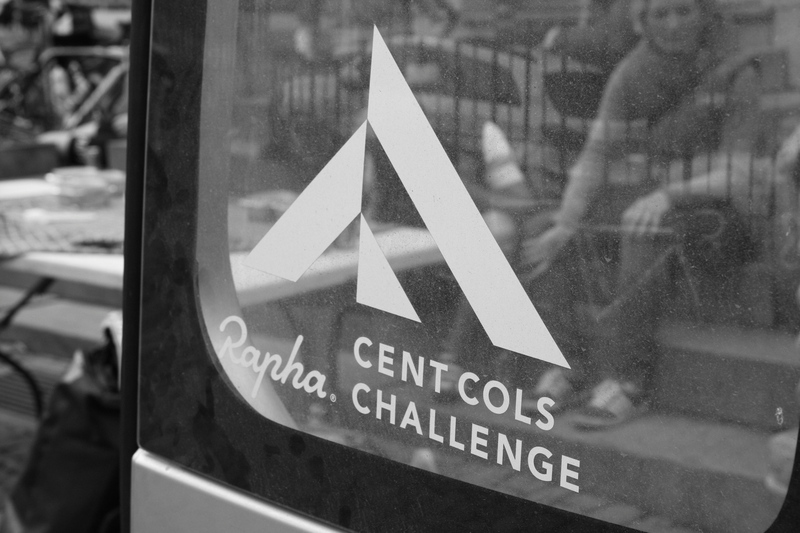 I first heard about the Cent Cols a few years ago, via the Rapha website – they’d sent a team to ride the inaugural Alps version, which had been dubbed the ‘ultimate sportive’ and likened to ‘ten Etape du Tours, back-to-back’! Sure enough, the Rapha team declared it uber-hard. It sounded beyond me: it was ten days long, parts of it were timed i.e. racing, and if the pros had declared it super difficult, what chance did I have? So, I forgot all about it. But when I signed up to ride the 2012 Tour de France route, the lead rider turned out to be Phil Deeker – the man behind the Cent Cols Challenge. The concept had arisen from a personal challenge he’d set himself a few years earlier – to ride 300 cols in 30 days. Solo. He’d wobbled on day two, but then settled in and eventually completed the task in just 28 days. A truly remarkable feat. In the course of the ride, he’d taken in the Alps, the Pyrenees and the Cevennes, ridden about 4,500 km and climbed 82,000 metres. Epic in every respect. A few months later, once the dust had settled, Phil faced a choice: do something even harder (!? ), or share his experience, somehow, with others. He chose the latter path. Each mountain range that he’d covered became a separate event, comprising 100 cols in ten days. And so the Cent Cols Challenge was born. First came the Alps, in 2010, then the Pyrenees in 2011 and finally the Dolomites in 2012, instantly labelled the hardest of the three (steeper climbing, worse roads, more unpredictable weather and more overall ascent). Currently, Phil runs three CCCs each year (Alps, Pyrenees and Dolomites) and in 2014 he’ll also add Corsica and then Spain in 2015. He now has a loyal following of CCC riders, eager for the next challenge and the 30 places on each CCC tend to fill up fast. So, the aim of each CCC is very simple: climb 100 separate cols in 10 days, with a single rest day at the mid point i.e. after five days. Any one of the days is considered really difficult and some of the riders will almost certainly fail. As someone who likes to approach a challenge confident in my ability to complete it, this is really messing with my head, in the same way that the Tour de Force did in 2012. Each day is c.200 km or more, with between 4,500 and 6,000 m of cumulative climbing – the total cumulative climbing for the event is in excess of 50,000 m! Phil builds in a buffer of a few extra cols, to hopefully allow those who struggle at the end of any single day, to catch back up. Anything serious though, such as an injury, a crash, or just ongoing failure due to fatigue, would almost certainly see a rider fail. So, I’m approaching the CCC with an all too familiar mixture of anticipation and dread! Perhaps the hardest fact for me to digest is that each CCC is considered significantly harder than the Tour de Force that I completed in 2012 and the Dolomites version is (to date), the hardest derivative. To put it into perspective, the Tour de France was 3,500 km in 21 days. The CCC will be 2,000 km in 10 days. But the real challenge is the constant climbing – the Tour rarely stays in a mountain range for more than 3 days. The CCC never leaves it. My cumulative ascent on the Tour was 50,000 m in 21 days. The CCC is the same amount of climbing, but in half the time. After riding the Tour de France route, there are few places to go for a harder challenge. Yes, I’d love to ride the Giro, or the Vuelta, but no one organises them. The CCC is the logical progression therefore. Suffice to say, I’ve bitten off a huge mouthful this time and will have to prepare as well as possible if I’m going to be successful and even if I can get to the start line in good shape, the outcome is far from certain.